Yes I admit it, I was hooked to ‘I am a celebrity, get me out of here!’. I did find it painful to watch but it was one of those programmes that I endure, and end up enjoying, to get some common ground with my teenage daughter. Both, my daughter and I, agreed that our favourite was Larry Lamb, although Gloria hesitated between Joel Dommett and Mr Lamb, I wonder why? We later found out about his love for languages and his support of the British Council’s initiative to encourage language learning using the motto of “A phrase a day”. I now like him even more! he absolutely shares my views on the amazing opportunities that learning languages can can bring. Convinced? there has never been a better time to learn languages as you go, I hope I have had these when I was learning English and German! Here are our top Free language Apps for adults, a review on children’s resources will come soon. Duolingo is my favourite free programme. It is extremely good structured. you will be learning and practising words, phrases, grammar and translations! the app makes it fun to learn on your own or in a group, with friends. There are levels and competitions that you can use and can get addictive, which is what you need to be when learning a new language. What can you learn: English, French, German, Italian, Spanish. New to the App scene but not new in on the web is busuu. Practice speaking with native speakers and apply what you have learnt. Use the listening, reading, writing and speaking task to improve your language skills, take on interactive learning exercises and quizzes and stay motivated with regular feedback. The community has over 35 million native speakers, so there are plenty of help to practise speaking the lingo. I have just started using Mesmerise. It combines, listening, visual, reading and writing skills and it offers a summary of what you have learnt at each stage. So far so good. What can you learn: Mandarin, Japanese,Korean, German, French, Russian, Spanish, Italian, Turkish, Swedish, Norwegian, Danish, polish, Dutch, Portuguese (Brazil and Portugal) and English. 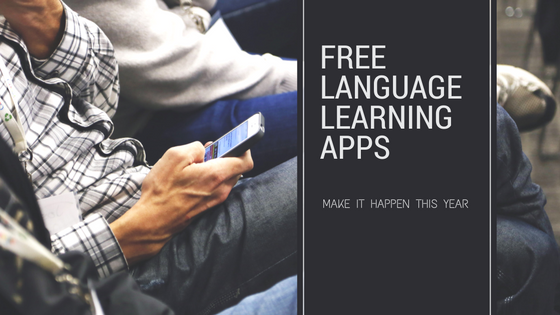 Interactive lessons and games with sound clips and videos for learning basic phrases in Spanish, French, English, German, and Italian. “Mi Vida Loca” is great fun if you have some knowledge of Spanish. A series that you will be able to find in Youtube, available in Spanish, French and German. My teenage students used to call it “Friends”. Watch it with subtitles in English or without if you feel confident enough. My great last discovery on Netflix, second to the Spanish series “Velvet” with English subtitles available, is that you can switch languages on the settings controls, and enable English, or other languages subtitles. It doesn’t work on all programmes, but it is worth trying. No more excuses! make yourself proud by learning a language in 2017 or your toddler will soon catch up if you are joining us in our classes! It will take you into a journey with unknown outcome I can assure you, so Ready, Steady, Go! enjoy the ride!